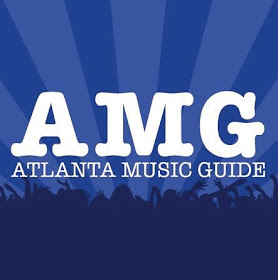 Here’s a quick look at the best shows happening in Atlanta this weekend Thursday, March 28th through Sunday, March 31st! The North Trolls as we know them today started out in a house on Manigault Street in Reynoldstown, Atlanta, Ga, USA back in 2006. Left-handed Drummer and Vocalist Gus Fernandez learned to play right-handed acoustic guitar upside-down and wrote some songs with guitarist Mike Morgan in their living room. Soon thereafter Fernandez recruited former bandmates (Fox Trotsky’s) Mason Turner and Charlie Mills to play bass and lead guitar respectively, to form the North Trolls Band. They played their first show ever on New Years Eve of that year and swore they would only play house shows from that night on. Toast and Jam Studios is an independent recording studio in Buford, GA and are very involved with the music community by providing live sessions and affordable recordings for bands around the state and some out out state. They recently had an electrical fire completely out of their control and lost a lot of equipment (luckily the hard drive with all of the recordings were not damaged). A portion of proceeds will be donated to Toast and Jam for recovery. Since their 2011 EP ​Holy Stain,​ Shepherds have received accolades for their taut analyses of social ills and the resulting strain on body and mind, but even the skeletal no-wave that defined their early sound was bound with, in the broadest sense of the word, soul. The band’s ability to confront their deepest insecurities and doubts is more than simple catharsis, it serves to illuminate deeper questions of existence and identity, and frame them in context of systemic oppression, discrimination, and isolation. The band’s expansive new LP “Insignificant Whip” will be released on Arrowhawk Records in 2019.